Have you ever considered cannabis oil as medication for dementia? Maybe you know someone who would benefit from using cannabis oil as medication for dementia? 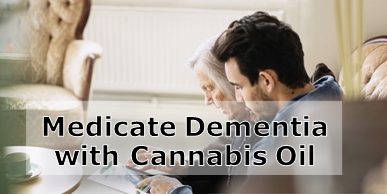 We are here to encourage you to try cannabis oil as medication for dementia. This natural therapy is a useful tool you can use to decrease symptoms of dementia, going as far as even reversing some of the effects of this disease. Dementia is a word that covers several types of mental illness that result in a deterioration of cognitive functioning. This includes loss of memory, reasoning and thinking skills, speech issues and the associated behavioural issues. Some patients become aggressive, anxious, depressed and feel pain due to the inflammation in their brains. Dementia can be mild but progresses to become a debilitating disease where the patient needs intense assistance for daily existence. Why and How Does Dementia Happen? Dementia happens when brains cells stop working due to damage or destruction. They lose connections with other brain cells and symptoms start to appear (memory loss, confusion, hallucinations, and more). There are several types of dementia, Alzheimer’s Disease being the most common kind, followed by Lewy Body dementia, Vascular dementia, Frontotemporal disorders and Mixed dementia. Risk factors include age (older people get it more often), hereditary factors, head injuries or damage to the heart of blood vessels (strokes, heart disease, high cholesterol, high blood pressure). One way to avoid getting dementia is to take care of your body and mind with a healthy lifestyle (plenty of fresh fruit and vegetables, less sugar and processed foods and more exercise). Another way to avoid getting dementia is to take cannabis oil every day. Cannabis oil can also be used as an effective medication for dementia. 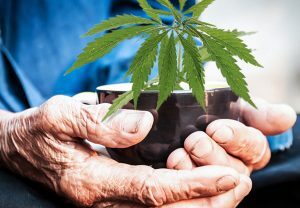 Studies have found that patients with Alzheimer’s disease who took cannabis oil experienced reduced symptoms of dementia including less aggression, moodiness, irritation, lack of energy and lack of sleep. This meant less anxiety and less depression. Scientists agreed the cannabis oil was a safe option to use for dementia patients as it has no side effects. It can be used safely to treat elderly people, children and pets. Cannabis oil is a natural anti-inflammatory, antioxidant and anti-depressant. This is more so if it contains cannabidiol (CBD) which is non-psychoactive. Tetrahydrocannabiol (THC) is a cannabinoid that is psychoactive but it is also a fantastic medical treatment. Both CBD and THC can be used to treat dementia safely and effectively. Alzheimer’s Disease is associated with the creation of plaques caused by Beta-Amyloid proteins which cause senility.THC can decrease and get rid of these Beta-Amyloid proteins. The neurons can then survive, without being damaged or destroyed. CBD has also been shown to heal the brain and decrease oxidative stress in the brain as it is a potent antioxidant. CBD assist the brain to heal after a trauma or injury and can treat inflammation and over-activation of brain cells. In the long term, CBD helps to decrease the creation of neurofibrillary tangles which are hallmarks of Alzheimer’s Disease. 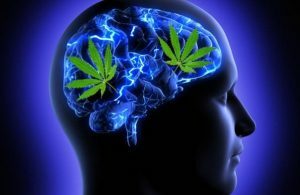 This just goes to show that both THC and CBD can be used as medication to treat dementia. Both cannabinoids are safer than pharmaceutical drugs which could have long-lasting and harmful side effects. Chat to us about using cannabis oil to treat dementia and you will be pleasantly surprised!